TV series – I was hooked on Homeland from the very first episode. Nicolas Brody (played by English actor Damian Lewis) is a marine returning to the United States and his family after eight years of captivity in Iraq. Carrie Mathison (Claire Danes), an Intelligence Officer for the CIA, spent several years in Iraq trying to infiltrate terrorist organizations. Both Brody and Carrie carry psychological scars from their experiences in the Middle East which continue to plague them. Carrie suspects that Brody may not be what he seems and has her own secrets to protect as well. The cast of interesting and conflicted characters, including Mandy Patinkin as Carrie’s boss and mentor, contributes to the depth and intrigue of the show. The plot twists and turns, the characters grapple with difficult choices and their own vulnerabilities and the result is a riveting TV drama. Season 2 has just been released on DVD. Since its first season aired in 2011, Homeland has won five Golden Globes. Music – Ultimate Love Songs is a pleasant and wonderful collection of ballads and melodies with lyrics to touch your heart and inspire your mind to recall your most lovely and in love moments! It is a collection of duets taken from the best selections of Brickman’s many CDs. He is the most commercially successful instrumental pop pianist of the last two decades. Four of his albums have been certified Gold (sales of more than 500,000 copies): By Heart, Picture This, The Gift, and Destiny. Overall, he’s sold more than 7 million albums and amassed 27 Top 40 singles on the adult contemporary charts, including 14 Top 10 smashes. Ultimate Love Songs features pop and country songs, but is classified as New Age, like all of his other albums. 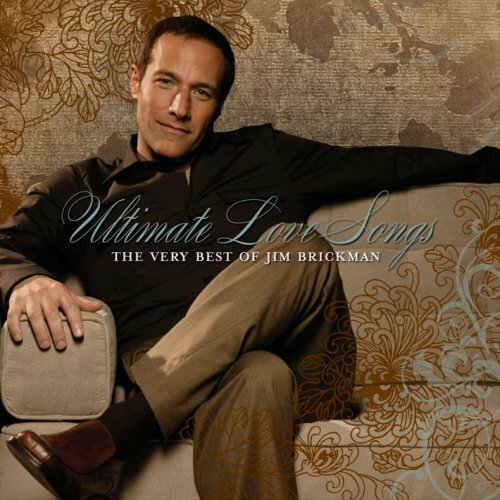 Brickman’s style and his music are great for quiet times. I liked “Valentine” featuring Martina McBride, “Never Alone” featuring Lady Antebellum, “Hear Me” featuring Michael Bolton, and “A Mother’s Love” with Mark Masri. Christmas 2013 will mark his 18th holiday tour! He hosts an annual fan cruise, PBS specials, and a weekly radio show “Your Weekend with Jim Brickman.” He was born and raised in Shaker Heights, Ohio. Book – Although my favorite books by Steven Brust are his Vlad Taltos series (ongoing, catch up now before Hawk comes out next year! ), there’s no denying that his stand-alone novel Agyar is a remarkable piece of work. It’s also hard to review and hard to recommend, because the thing that you would usually use to describe it is the thing you can’t know ahead of time without completely changing your experience of reading it. Let’s just say it’s a truly spectacular example of what a talented writer can do with an ambiguously reliable narrator. On the face of it, Agyar is the diary of a disillusioned, hedonistic young man, a classic anti-hero. It’s a very period novel, originally published in 1993, and it does kind of reek of that early nineties goth chic. That’s part of it’s charm, and I don’t think it would work nearly as well updated to the present day. But if the face of it was all there was to it, I wouldn’t be writing this incredibly roundabout review, would I? Brust plays with the reader’s expectations, and he knows exactly what to do with them. So here’s my recommendation: if you like urban fantasy, clever writing, or fascinating if unlikeable characters, pick up Agyar and start at page one. Do not read the back cover copy. Just trust in the author. He’s worth it. This brings to mind a fascinating non-fiction book, The Devil in the White City. The book chronicles the politics, planning and construction of the Columbian Exposition in Chicago by renowned architect Daniel Burnham and his crew including Frederick Olmstead and Louis Sullivan. In a separate storyline we follow the gruesome murders committed by Dr. Henry H. Holmes in his hotel near the fairgrounds of the World’s Fair. Both his charm and the attraction of the Fair lured scores of young women to their deaths. The Devil in the White City is grand and magical and yet evil and sinister. It reads like fiction and should appeal to fans of true crime, architecture, and history. Book – Brandreth, a noted real life biographer of Oscar Wilde, has turned to fiction and brought to life a series of historical mysteries which cast Oscar Wilde as a savant of deduction and even an inspiration for Conan Doyle’s invention of Sherlock Holmes. These stories are full of biographical detail and the dialogue is inspired by Wilde’s quotable witticism and his mercurial personality. It is easy to sympathize with the narrator of these tales, the struggling young writer Robert Sherard, who was a good friend and the first actual biographer of Oscar Wilde. In this series Conan Doyle is cast as a close associate and respected friend whom assists with details of intriguing investigations. A Game Called Murder is the second in the series, yet I easily enjoyed it without having read the first installment. Individuals such as Bram Stoker, and actual events, such as the first boxing match using Queensbury rules, populate the pages of this book. This tale’s amateur detectives seek to reveal a murderer who is daily working their way down a list from a dinner party game, a list from a game that asks “Who would you murder?”, a list that includes Oscar and his wife. Book – Fin & Lady is a story about love and finding your family. When young Fin is orphaned, his free-spirited half-sister Lady becomes his legal guardian. Practical Fin and glamorous Lady have only spent a brief time together previously, but Fin adores her. They move to New York City and become part of the counter-culture of the sixties. Fin struggles to understand Lady’s turbulent relationships with several admirers and the new world around him. A cast of entertaining characters including the admirers, a spunky housemaid and a gentle dog move the story through many humorous situations. Lady is obsessed with being “free,” and this book explores what being “free” and loving someone really means. If you enjoy books by Elinor Lipman, you may enjoy this book centered on a family dealing with unconventional situations. I found this book to be a delightful read, with interesting dilemmas and some laugh-out-loud moments. Cathleen Schine also wrote The Three Weissmanns of Westport. Book – I enjoy listening to audiobooks, especially when they are set in foreign places so that I can familiarize myself with the correct pronunciations of the places and the characters’ names. One series that I am particularly fond of is The No.1 Ladies’ Detective Agency by Alexander McCall Smith, read by Lisette Lecat. Currently there are 14 books in the series and I never tire of listening to the further adventures of Precious Ramotswe, a “traditionally built” woman who decides to become Botswana’s one and only lady private detective and purchases a detective agency with the money left to her by her beloved deceased father. Instead of using high tech gadgets and weapons Precious solves her cases using her intuition, intelligence, likable demeanor, and the assistance of her secretary Grace Makutsi. Though the cases are not high profile, they are of utmost importance to her clients and thus handled with sensitivity and the highest priority. Mma Ramotswe’s goodness, wisdom, humor and love of Africa shine through the stories and McCall Smith does a wonderful job of placing us in her land and relationships through his vivid descriptions and tone. The other characters are also likable and it is interesting to see how they develop and interact as the series continues. Reader Lisette Lecat transports listeners to Botswana and gives personality to each character with her incredible array of accents. Her narration adds immensely to the overall appeal of this delightful series. Start with The No.1 Ladies Detective Agency and enjoy. Book – The first of a four-volume series, Mélusine is not a gentle introduction to Sarah Monette’s elaborate, well-constructed fantasy world. For one thing, one of the point of view characters goes mad about fifty pages in. But for those who stick it out, it’s a rewarding book, and one of the most unique fantasy series of the last decade. Felix Harrowgate is a wizard of the Mirador, well-respected if not well-liked, but he has never let anyone know how far he had to climb to get there. A dark figure from his past frames him for a terrible treasonous magic – the casting of which has driven Felix insane, so he can mount no defense. At the same time, Mildmay the Fox, the most famous assassin of the Lower City, has fallen on hard times and is forced to flee the city of Mélusine. The two, thrown together by their desperate circumstances, undertake a journey to cure and redeem them both. The narration switches back and forth between Felix and Mildmay, and as annoying (and depressing) as Felix’s madness can become, Mildmay’s humor, stubbornness, and wonderful felicity for storytelling more than make up for it. While the story is excellent, the characters are what really make this series: you come to know Felix and Mildmay both intimately, and it doesn’t take long for them to feel like old friends. Book – Bit was born in a commune in the 1970’s. Arcadia traces his coming-of-age in this idealistic setting. While his parents have big dreams, the reality of living in a communal setting is much harsher than they anticipated. Projects are delayed due to lack of participation or follow-through, drug use is rampant and the commune’s residents are often hungry and cold. However, the bucolic setting and the genuine love of his extended family hold Bit and his family to Arcadia House and the rise and fall of its fortunes. Bit falls in love with Astrid, the daughter of the charismatic leader of the commune, and as they grow up, he is forced to confront the truths about his beliefs, himself and those he loves. This book made me think about human nature and how things might play out in a communal setting. Through Groff’s writing, I could vividly picture the place and the characters. TV – Revenge is my guilty pleasure. This is a TV series shrouded in mystery, glamor, and as the title suggests steeped in revenge. The main character is Emily Thorne, who makes it her mission to infiltrate the Hampton’s upper society to execute a meticulous plot of revenge on Conrad and Victoria Grayson who set up her father, an executive working for their company, for channeling money to a terrorist organization responsible for the downing of a commercial airliner. Emily’s father was imprisoned for life and nine year old Emily was taken by the foster care system. She never saw her father again. Her childhood was spent consumed by rage, loss and betrayal. Emily is highly intelligent and tough and she has no problem passing herself off as a philanthropic wealthy socialite to her neighbors the Graysons, as well as a romantic interest for their son, Daniel. Revenge is full of intrigue, people you love to hate, endless twists and turns, not to mention beautiful people, clothes, and houses. The plot can be a little farfetched sometimes, but it is still wickedly entertaining.